ARE YOU LOOKING FOR SPECIALTY CEDAR FENCING? The fence installation market has experienced rapid expansion over the last decade. Nowadays, a home or property owner has access to a huge array of fencing options and styles that have only recently become available. Installing a customized fence is not only a practical option, but has become a terrific way to spruce up and add value to your property. At A Fence Utah, you will find a comprehensive range of fencing styles to choose from. 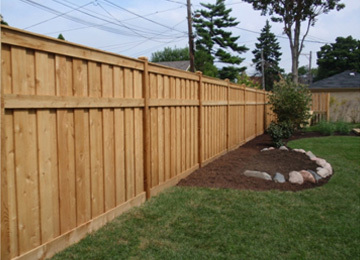 If you are in search of a wood fence, our specialty cedar fencing may be the ideal option for you. A cedar fence is a perfect way to accent the terrain around which it is built. By installing a cedar fence you have not only chosen durability and low maintenance, but have also opted for the charm and elegance of tradition. Cedar fences create an old world aesthetic relating feelings of warmth and comfort. Color – Cedar wood typically comes in different shades and combinations of two primary colors – white and red. Depending on the aesthetic that you are trying to develop, we will help you choose the right shade of cedar wood for your fencing project. Fence Type – Choosing a fence type can be difficult. We will help you determine what degree of privacy is important to you. Depending on the needs of your project, we will help you decide between full privacy or semi-privacy fencing options. A Fence Utah is fully committed towards providing products and services of the highest quality to all our customers. Developing long-lasting relationships with our clients becomes easy when you have a product of such fantastic quality. Get in touch with us and let us become a part of your new installation project now!